MarZ: Tactical Base Defense is a unique Sci-fi tower defense strategy game developed by doorfortyfour. 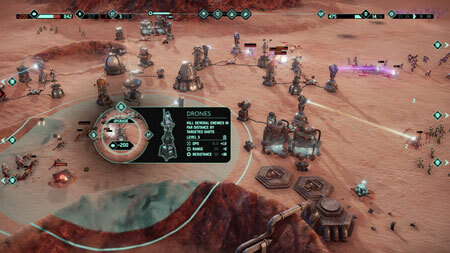 Build your defense base to fight back the undead hordes of Mars and secure the future of the red planet. You must carefully manage your crew and resources as you try to uncover the terrible secrets of the undead. Hold off the zombie hordes and discover the terrible secrets of the red planet across a fully-fledged story campaign with alternate endings. Create customised procedurally-generated skirmishes as you battle back wave after wave of enemies. If you get stuck in the game, check out the video walkthrough and gameplay for the game. This entry was posted in PC Games, Walkthrough and tagged MarZ: Tactical Base Defense Cheats, MarZ: Tactical Base Defense Gameplay, MarZ: Tactical Base Defense Guide, MarZ: Tactical Base Defense Strategy, MarZ: Tactical Base Defense Walkthrough by Marvin. Bookmark the permalink.